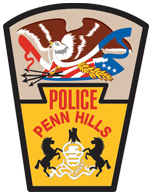 On Thursday, May 17, 2018, a group of concerned Penn Hills citizens will be hosting the “Penn Hills Night of Awareness” inside the auditorium at the Penn Hills Senior High School, at 309 Collins Drive. The symposium will run from 6:00 to 8:30 PM, and will focus on issues of addiction, mental health, and recovery. A host of speakers from various local agencies will be on-hand to present information on these topics, answer questions, and suggest resources on where to find help for anyone struggling with these issues. This event is open to the public, though some material may not be suitable for children. Click on the link below for more information.